Snow Leopard will be available tomorrow and there are a few things you should do before upgrading. It’s always a smart idea to clean up your Mac before doing an OS upgrade. I’d start by removing applications that you don’t need or want anymore. AppCleaner was developed to do just that. AppCleaner not only deletes the application itself but any Library folders associated with it as well. It can even help you remove any widgets, preference panes, or application plugins that you no longer need. Once you’ve removed all the unnecessary applications you should update all of the remaining applications to the most recent version. AppFresh is an application designed specifically to keep all of your apps up to date. Simply open the app and let it scan for updates. You’re one click away from installing all available updates. Let’s move on to cleaning up your boot process. In the “Accounts” system preference pane there is a “Login Items” tab, this will list the applications that open when you log in. Remove all the apps that you don’t need when you boot your Mac, not only will this make boot time faster but will also help the upgrade process go smoother. After your Mac’s thorough cleaning, verify and repair disk permissions and the disk itself. You won’t need any extra software to do so, simply open up Disk Utility (found in the Utilities folder), select your hard drive, and choose Verify Disk/Disk Permissions or Repair Disk/Disk Permissions. This process can take some time but is well worth the time right before a major OS upgrade. The last step before upgrading to Snow Leopard is to backup your hard drive. You might already be doing this with Time Machine but you should also have a bootable backup so you can get up and running quickly if anything goes wrong. Using a second hard drive SuperDuper! will make a bootable backup of your Mac, including all of your preferences and applications. Depending on your amount of disk usage this could take several hours. 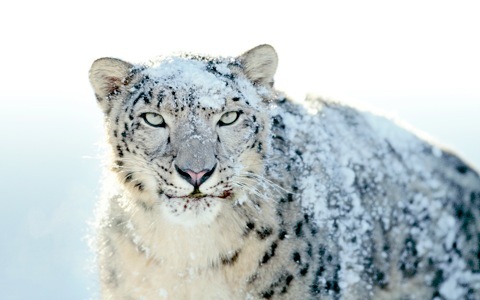 You’re now ready to upgrade to Snow Leopard. Update 8/27/09: In Walt Mossberg’s review of Snow Leopard he does confirm that the $29 upgrade disc can also upgrade machines running Tiger. here’s a tip: Apple concedes that the $29 Snow Leopard upgrade will work properly on these Tiger-equipped Macs, so you can save the extra $140.